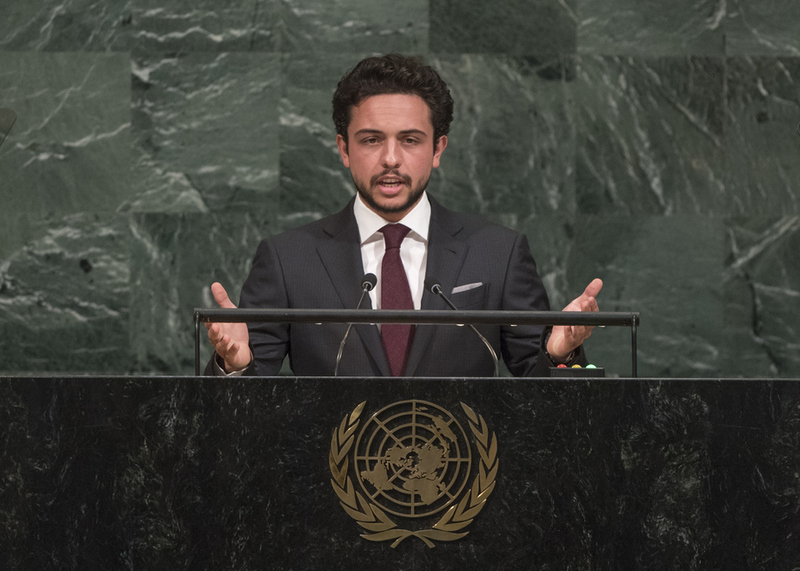 AL HUSSEIN BIN ABDULLAH II, Crown Prince of Jordan, said his nation had been hit in recent years by a number of external shocks, including being surrounded by multiple conflicts, namely in Gaza, Iraq, Syria, Libya and Yemen, as well as the Israeli-Palestinian conflict. That impacted trade with Iraq, Syria, Turkey and many countries in Europe. The region’s instability also weakened tourism and investments in a country already suffering from the global financial and energy crises. Despite such difficulties, Jordan continued to host 1.3 million Syrian refugees, with 90 per cent of that population living within local communities, as well as millions of Palestinians, hundreds of thousands of Iraqis and refugees from Libya and Yemen, he said. His country remained one of the largest hosts of refugees in the world and more than a quarter of its budget was spent on the Syrian crisis. “We did not turn our back on people in need. We are weighted by massive debt, but we stand tall and proud,” he said. The country’s supported resolution of the Israeli-Palestinian conflict was based on the two-State solution, he continued, stressing the country’s duty as Hashemite custodian of Muslim and Christian Holy sites in Jerusalem: “Preserving the historical and legal status quo at Al-Aqsa Mosque/Haram al-Sharif is key to peace in our region and the world.” Furthermore, it remained committed to fighting terrorism, and protecting civilians from Haiti to Darfur to Timor-Leste. While his country was praised for its humanitarian stance, it still needed aid, as it remained affected by external shocks while being a contributor to global peace and security, he said. He also noted that the world had spent $1.7 trillion on arms, but fell short by $1.7 billion to answer the United Nations appeal to support Syrian refugees. War economies continued to thrive, while real economies suffered. “The United Nations is our global conscience, but for too many in my country and others around the world trying to do good, it sometimes feels like the world’s conscience is on ‘silent’ mode,” he said, reiterating Jordan’s commitment to peace, moderation and international cooperation.